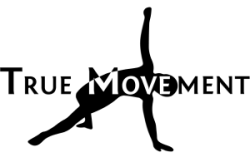 True Movement is an independent health and fitness company offering science-based solutions for improving the way people look and feel. We recognize that no two people are the same, so our approach to massage therapy and fitness is uniquely tailored to the needs and wants of the individual person for optimal results. Our commitment is to help you to reach your goals using the best available methods, even if that means referring to you someone else. We hope that we can help on your journey to a healthier and happier you.